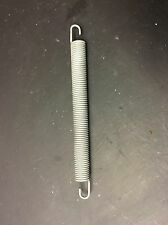 Beko dishwasher DWD5412S door spring. 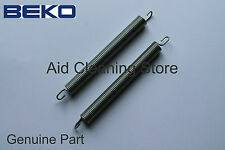 Beko dishwasher door springs. Contains x 2 springs. ADP8630, ADP8640. D3421FS, D3421FW, D3422FS, D3422FS-42, D3422FW, D3422FW-42, D3731FS, D3731FW, DE3430FS, DE3430FW, DE3431FS, DE3431FW, DE3541FS, DE3541FW, DE3542FS, DE3542FW, DE3761FS, DE3761FW, DE3762FS, DE3762FW, DE3861FS, DE3861FW, DE6340S, DE6340W, DW, DW600, DWD4310S. D3421FS, D3421FW, D3422FS, D3422FS(NEWVERS. )., D3422FS-42, D3422FW, D3422FW-42, D3731FS, D3731FW, DE2431FS, DE2431FW, DE2541FS, DE2541FW, DE2541FX, DE2542FS, DE2542FW, DE3430FS, DE3430FW, DE3431FS, DE3431FW, DE3541FS, DE3541FW, DE3542FS, DE3542FW, DE3761FS, DE3761FW, DE3762FS, DE3762FW, DE3861FS, DE3861FW, DE3861FW(NEWVERS.). GENUINE BEKO PARTS. 2 X DOOR HINGE CABLES. When these break the door will drop much faster then normal. DW12, DWP5512. DWHC00W, DWHC00W20109768, DWHC10W80109770, DWHC40W60109771. WMB81241LW, WMB81431LW, WMB81445L. Beko Washing Machine White Door Handle. Bookmark Us. Part number: 1881020100. Bookmark Us. BEKO Genuine Dishwasher Door Lock Latch Hook. This will enable us to assist you more thoroughly with your request and to deal with any difficulties. About Spares2go. Part number 1764130100. Genuine LAMONA Dishwasher Door Lock Hook Catch Latch Lock Hook. Fits models. Genuina Beko / Fijación Flavel Lavavajillas Decoración de puerta. This part was manufactured to fit the following Beko Models Dishwasher Hinge Rope x1. Superior quality Genuine Part, strong nylon cord. This can be due to the manufacturer changing suppliers during or after a production run of the appliance. 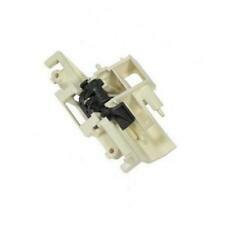 GENUINE BEKO DISHWASHER DOOR HINGE ROPES. DWHC10W (854586715002). DWHC10W (854586715001). DWHC10W (854586715000). 801 097 70 DWH C10 W - 854586715001. 801 097 70 DWH C10 W - 854586715000. 601 097 71 DWH C40 W - 854586716001. BEKO: DIN1401XN / DW600 / DWLT65 / DWLT68. Servicio a domicilio. 7646020142 Arcelik RETROEXCAVADORA. 7645820142 Arcelik RETROEXCAVADORA. 7636110253 Arcelik RETROEXCAVADORA. 7636010253 Arcelik RETROEXCAVADORA. Info Desde. WESCO: Almacenamiento y más. Genuine Beko Dishwasher Hinge Rope Will also fit LAMONA DIPLOMAT FLAVEL PROLINE HOWDEN Dishwashers. 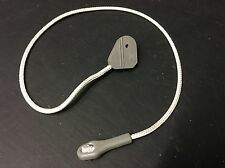 Genuine Beko Dishwasher Door Hinge Rope Brake. Genuine Beko Part - 1881050100. Get your door working like new with this product. Genuine manufacturer's number: 1881050100. 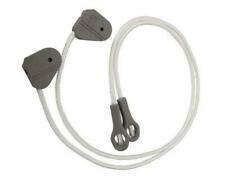 Genuine Beko door hinge cable for your Beko dishwasher. Denton Hall Farm Rd. We promote a 'repair not replace' culture instead of a 'throwaway society'. L M Electrical Spares Ltd.
TLDA625W, TLDA628W, TLDA662W, TZDA627FW, TZDA629FW, TZDA661W. BEKO Nevera Congelador PUERTA MANGO Blanca. En 12 de julio de 06 en 1:10:54 BST, el vendedor añadió los siguientes datos. This part was manufactured to fit the following Beko Models Dishwasher Hinge Rope (Pair). Superior quality Genuine Part, strong nylon cord. This can be due to the manufacturer changing suppliers during or after a production run of the appliance. DW600 / DWLT65 / DWLT68. Genuine Beko Dishwasher Door Hinge Rope Brake. Genuine Beko Part - 1881050100. Get your door working like new with this product. 4328000400 genuina. TLDA625W, TLDA628W, TLDA662W, TZDA627FW, TZDA629FW, TZDA661W. BEKO Nevera Congelador PUERTA MANGO Blanca. En 12 de julio de 06 en 1:10:54 BST, el vendedor añadió los siguientes datos. Genuine 4328000400. BEKO Fridge Freezer DOOR HANDLE White. Genuine BEKO Dishwasher Door Hinge Brake Rope. 2 x resortes genuino de bisagra de la puerta del lavavajillas. SERIE DW12, DWP5512. HJA8630, HJA8631, HJA8640. Servicio a domicilio. DVY640JE1DeDietrichFranceExpDW(78015) 7651987345. DVY640XE1DeDietrichFranceExpDW(78014) 7651887345. GIS9220XBlombergGermanyExpDW(78133) 7650141645. GIS9220BlombergGermanyExpDW(78132) 7650041645. BEKO: FDW60 / HDA8630. BEKO DISHWASHER DOOR HINGE SPRING. THIS IS A GENUINE MANUFACTURER'S PART. THIS PART WILL FIT THE FOLLOWING MODELS. Genuine Beko / Flavel Dishwasher Decor Door Fixing. 1x Door Hinge Springs For Howdens Lamona Dishwasher HJA8630, HJA8631 HJA8640 Genuine. 1 X Genuine Dishwasher Door Hinge Springs. HJA8630, HJA8631, HJA8640. BEKO Fridge Freezer DOOR HANDLE Silver. BEKO: DW600, DW601, DW602, DW603, DW663, DW686, DWLT65, DWLT68. THIS IS A GENUINE MANUFACTURER'S PART. 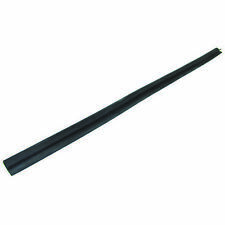 Rubber Door Seal Gasket for BEKO Dishwasher. These parts are in no way associated with the initial manufacturer’s parts. Genuine BEKO Dishwasher Door Hinge Rope. This will enable us to assist you more thoroughly with your request and to deal with any difficulties.